A Sheffield factory worker accused of murdering his workmate said he only remembered where he was at the time of the killing six months after the death. Shaun Wainwright told Teesside Crown Court it ‘came to me’ after he was charged with murder in June 2014 that he had been sat in his car drinking lager. Simon Holdsworth, aged 36, was battered to death with a blunt weapon on the playing fields of Rainbow Forge Primary School, Hackenthorpe, as he walked home from work at about 11.15pm on the night of December 16, 2013. He is alleged to have been murdered by Wainwright, who he worked with at FBS Prestige on Birley Vale Avenue, Frecheville. 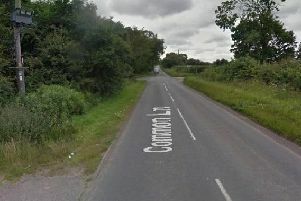 Father-of-two Wainwright, 46, of Dagnam Road, Arbourthorne, said he had left work at about 10.55pm. He said instead of driving straight home, he parked up on Cadman Road in Intake. “I opened a few cans of lager and listened to a few CDs,” he told the court yesterday. He said he listened to ‘five or six tracks’ on the CD and was at the location for 20 to 25 minutes. Wainwright said he had been thinking about his late partner Alison Platt, who died in December 2010, as well as the funeral of a friend he was going to a few days later. He said he did not want to go home immediately, as his new girlfriend who he was living with was ‘quite jealous’. He accepted CCTV showed his car arriving at his home after 11.35pm that night and him getting out. Wainwright had originally told police he had driven straight home and got back at 11.05pm. He said he only remembered stopping at Cadman Road in June 2014, after he had been interviewed and charged by police with Mr Holdworth’s killing. Wainwright also told the court he was ‘gobsmacked’ to be arrested for killing Mr Holdsworth. He said he ‘hadn’t got a clue’ how a pair of gloves with his DNA on were found close to the murder scene a month after the murder. Wainwright also said he had not told the police about a visit to UK Bullion on Ecclesall Road the day after the murder, because he was concerned he might be prosecuted for handling stolen goods. He said he had a ‘very good relationship’ with Mr Holdsworth and had discussed going fishing with him.